Study 1 enrolled 144 non-pregnant female patients aged 19 to 54 years. 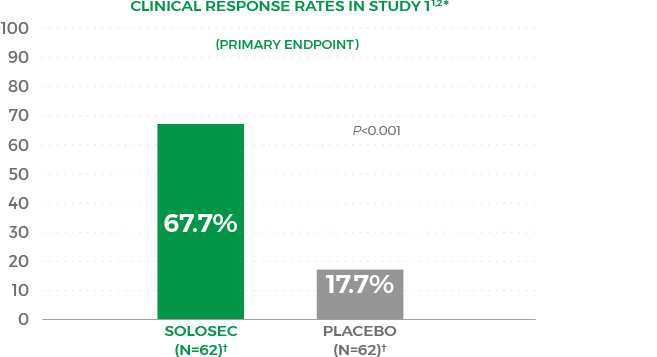 Efficacy was assessed by clinical outcome evaluated 21-30 days following a single dose of Solosec. Study 2 enrolled 189 non-pregnant females aged 18 to 54 years. 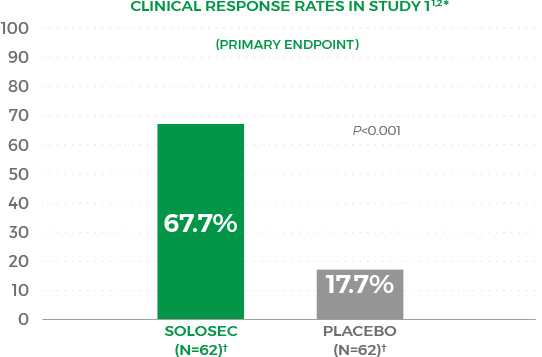 Efficacy was assessed by clinical outcome evaluated at 7-14 days and 21-30 days following a single dose of Solosec.